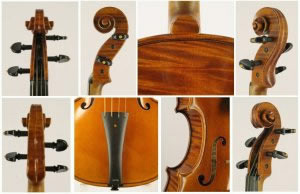 A baroque style Stainer violin, inspired after a well preserved instrument in regular use by Richard Gwilt of London Baroque. I have made this model several times now since 1987, and I always enjoy coming back to this refined classical Austrian makers' instrument and model. I love using these striking one piece backs of old East European maple tonewood. I was fortunate to have acquired several large wedges from the same log many years ago. 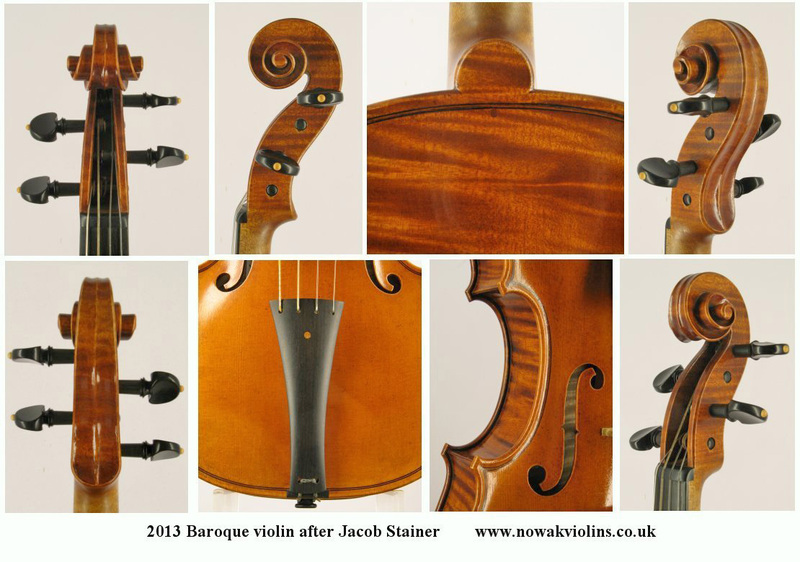 It is beautifully deeply figured wood, not the easiest to work with but visually and tonally quite special. The ribs are from the same log, but in keeping with classical makers a slightly lighter figured cut chosen for the head. Well seasoned spruce for the front with fine straight grain similar to many Stainers. The oil resin varnish of a rich colour which shows, depending on angles and reflection from golden orange to red and brown. The varnish application is lightly shaded with some patina to give a warm mellow appearance. Tonally the violins sound is strong, open and very responsive. Depending on light source and Computer screen colour calibration the violins colour shows of course in different hues, and so does the short video clip of the violin ( redder then in natural light). Click on above photos for larger image (opens in a new window). 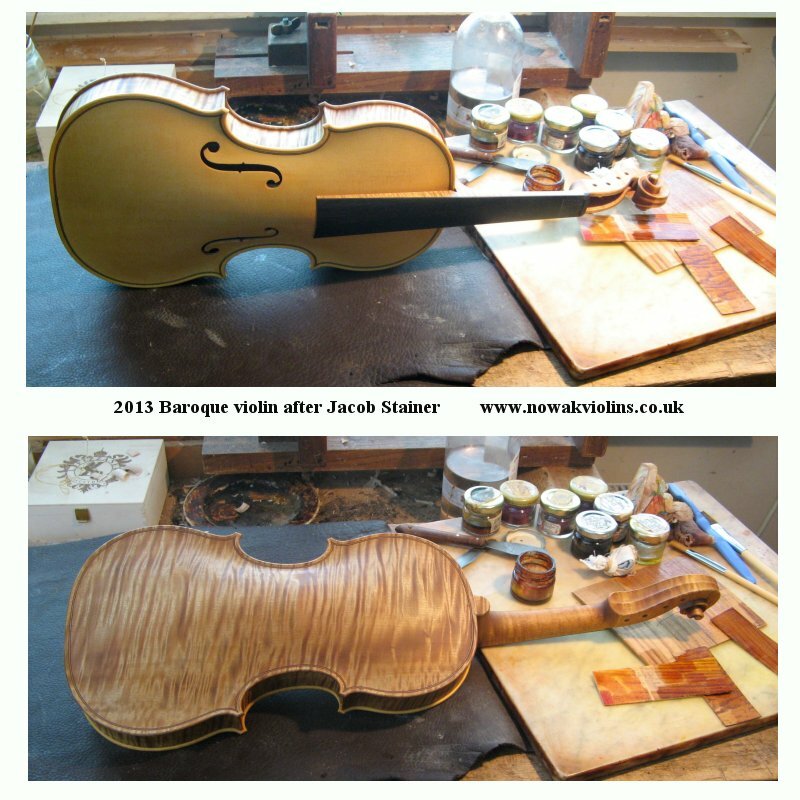 The 2 photos below show the violin during the varnishing stage.